The Congress party high command fielded Mallikarjun Kharge and former Union Ministers M Veerappa Moily and KH Muniyappa along with 15 others from Karnataka for the upcoming Lok Sabha elections 2019. In a list released late on Saturday, the Congress finalised 18 names of the 20 seats it will contest from in the southern state. Ally Janata Dal (Secular) will field candidates from the eight remaining seats of the 28 constituencies in Karnataka. 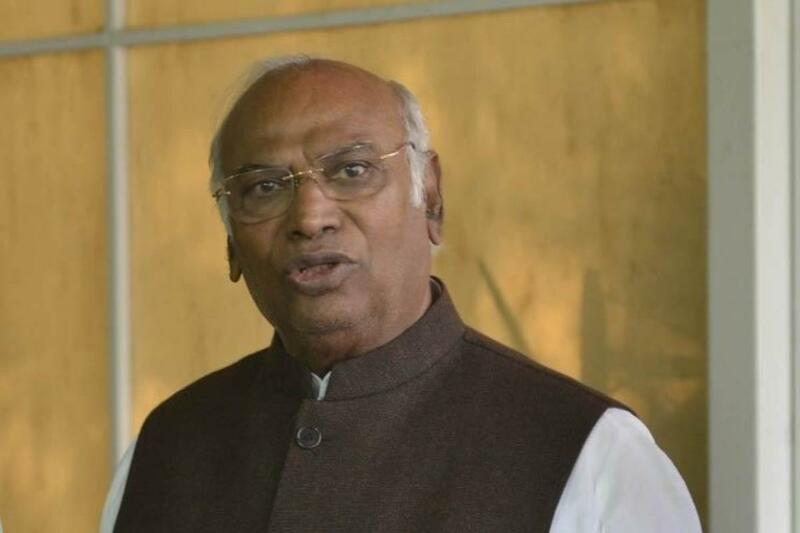 Kharge, the outgoing Leader of Congress in the Lok Sabha, will contest from Kalaburagi (Gulbarga) against BJP’s Umesh Jadhav. Kharge had won this seat in the last elections by defeating BJP’s Revunaik Belamagi. Jadhav, a former surgeon, was the MLA from Chincholi in Gulbarga from 2013 to 2019. KH Muniyappa will contest from his bastion Kolar. Muniyappa, a seven-time MP from this district in southern Karnataka, has remained undefeated since 1991. Veerappa Moily, the Oil Minister in Manmohan Singh’s cabinet and a former Chief Minister of Karnataka, has been named as the Congress candidate from Chikkaballapura. Moily is the incumbent parliamentarian from the seat. Eshwar Khandre, the party’s state unit working president and a legislator from the Bhalki assembly segment, will contest from Bidar. On the other hand, the Congress picked Mithun Rai, the son of former Congress minister Ramanath Rai, as its choice for the Dakshina Kannada constituency. It is the only seat Congress is contesting from among the coastal districts of the state, which are mostly under BJP control. The list, which was finalised by the central election committee in New Delhi, also includes Veena Kashappanavar the only woman candidate from the state so far. She will contest from Bagalkot. The party did not name candidates for Bengaluru South and Dharwad parliamentary seats. The other candidates are Prakash Hukkeri from Chikkodi, Virupakshi Sadhunnavar from Belgaum, BV Nayak from Raichur (SC), Rajashekar Itnal from Koppal, US Ugrappa from Bellary (ST), DR Patil from Haveri, Shamanur Shivashankarappa from Davanegere, BN Chandrappa from Chitradurga (SC), Vijayashankar from Mysore, R Dhruva Narayan from Chamarajanagar (SC), DK Suresh from Bangalore Rural and Rizwan Arshad from Bangalore Central.